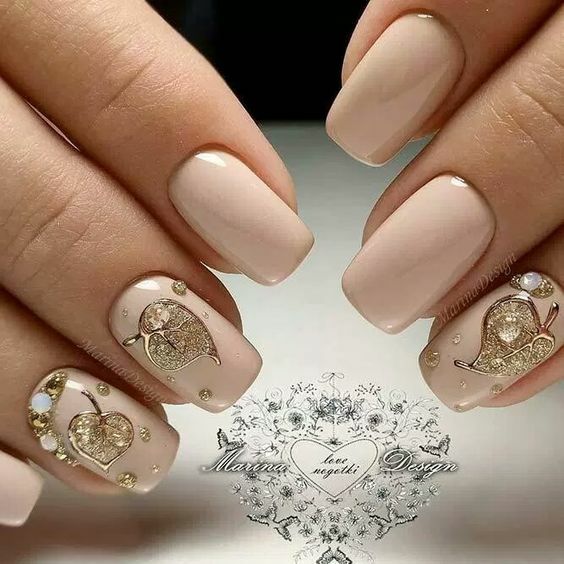 They say that there are only a handful of life events that really matter for a person in this world and one cannot achieve all even if wanted. 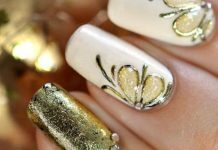 Life celebrations may either be an achievement in learning or career or something that is considered to be divine and connected to life. 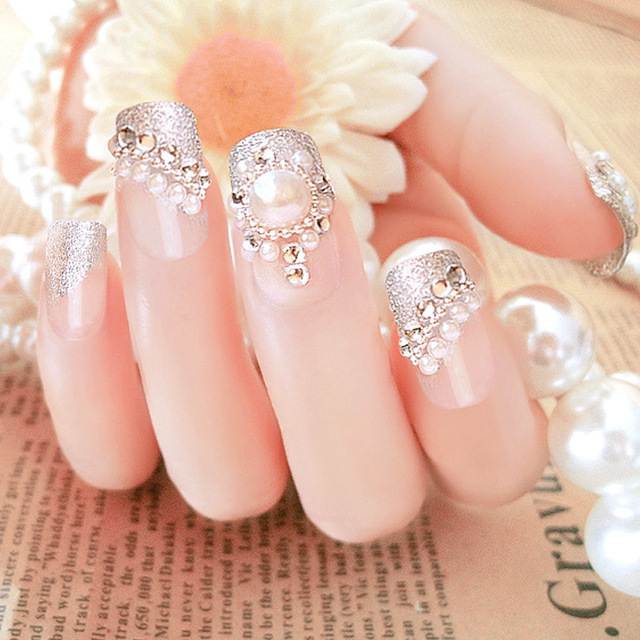 Today, we concentrate on one of these memorable life events and we translate it to beautiful little works of art. 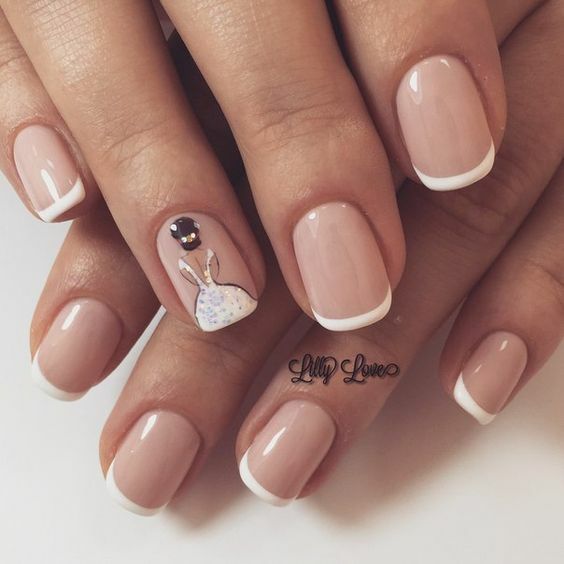 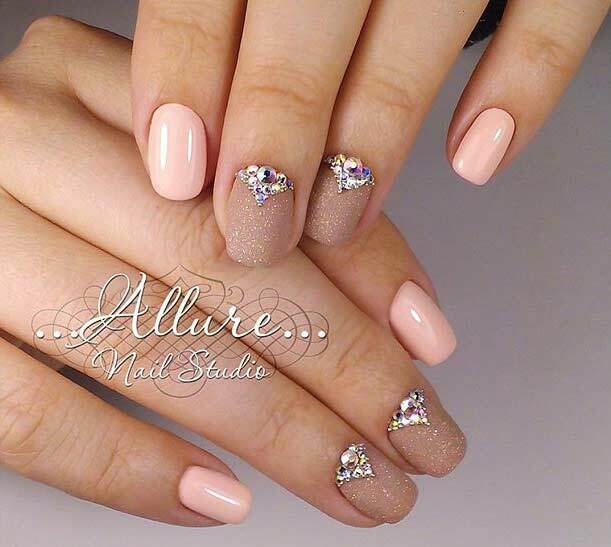 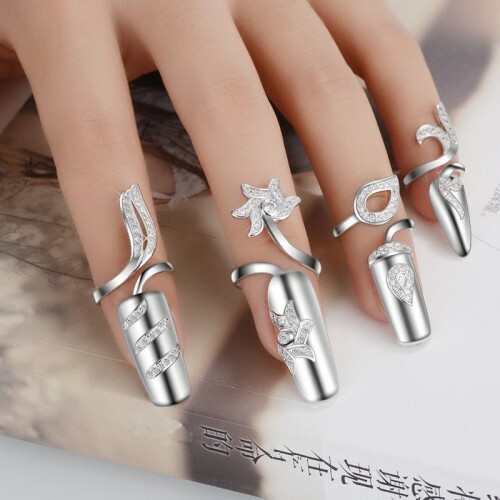 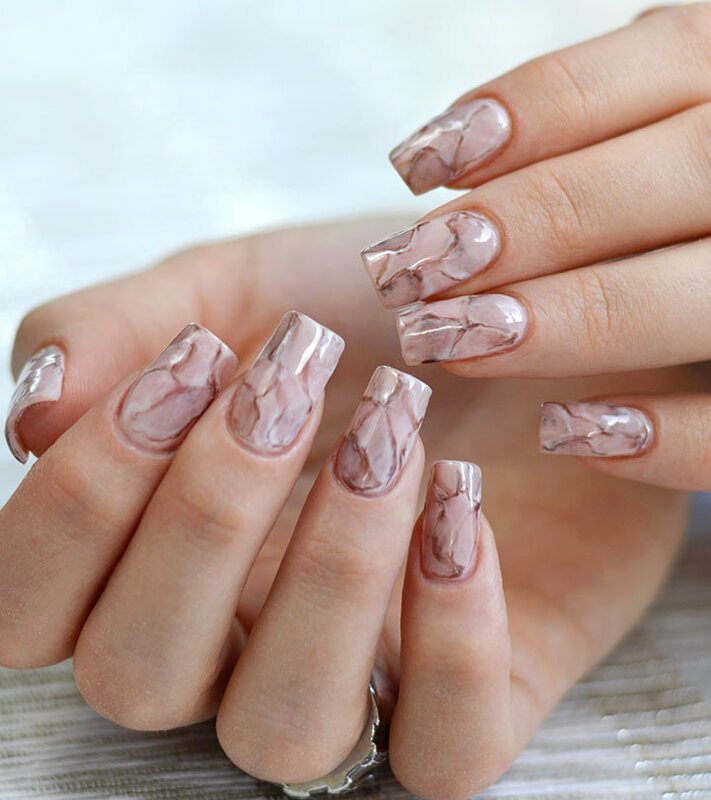 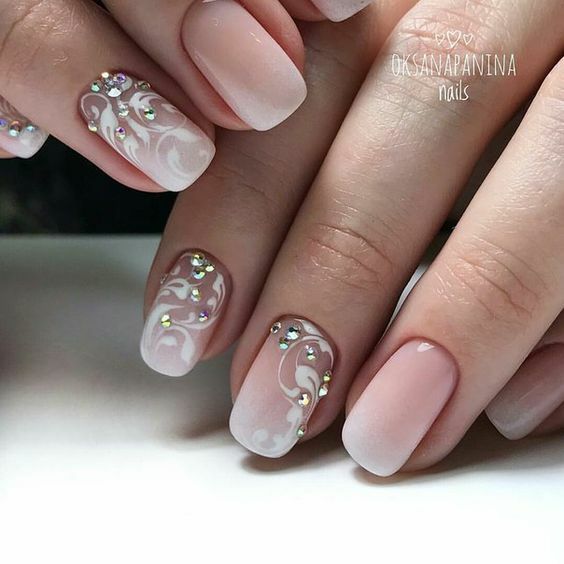 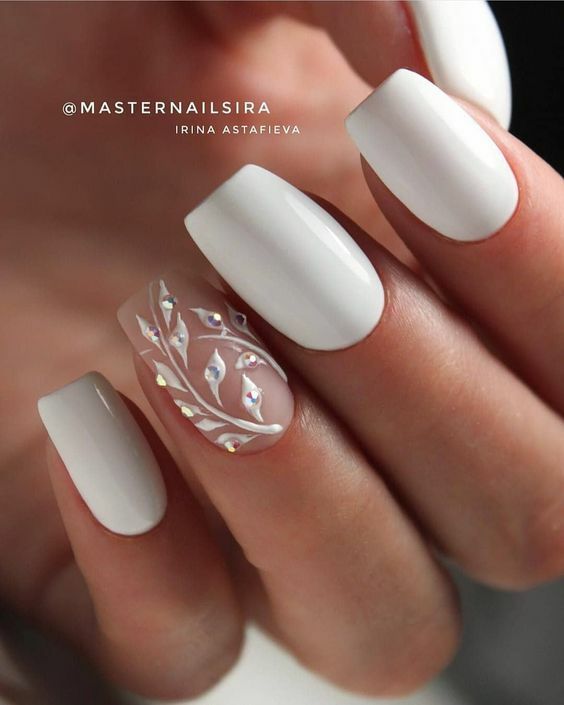 Wedding nail art designs may be seasonal since it speaks about a specific event but if you take a closer look at it, it can actually be worn at any day. 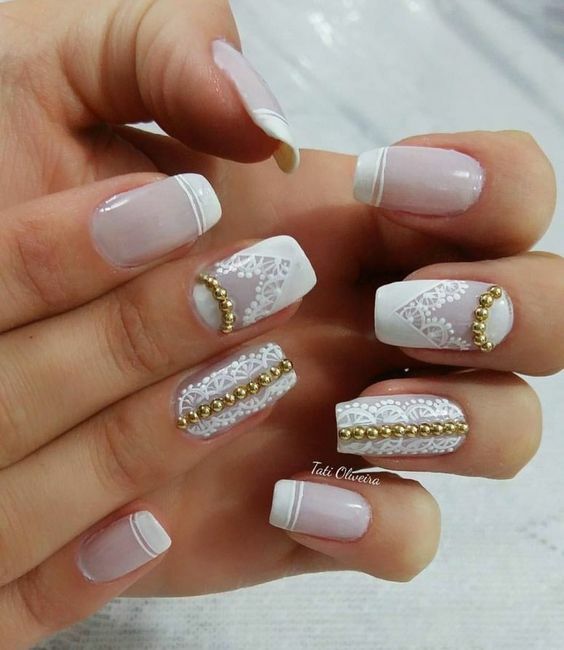 For the most part, the designs for the said theme uses a lot of white which can easily be paired with any outfit. 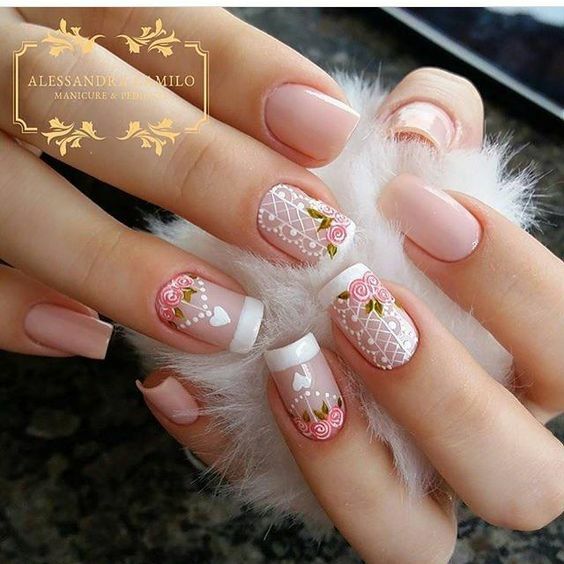 Next, the patterns drawn or rendered mostly are flowers, lacey, or a combination of both— very refreshing designs for the eyes. 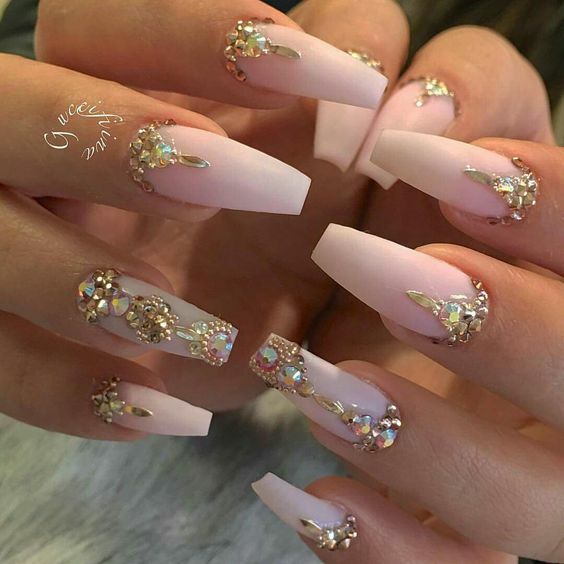 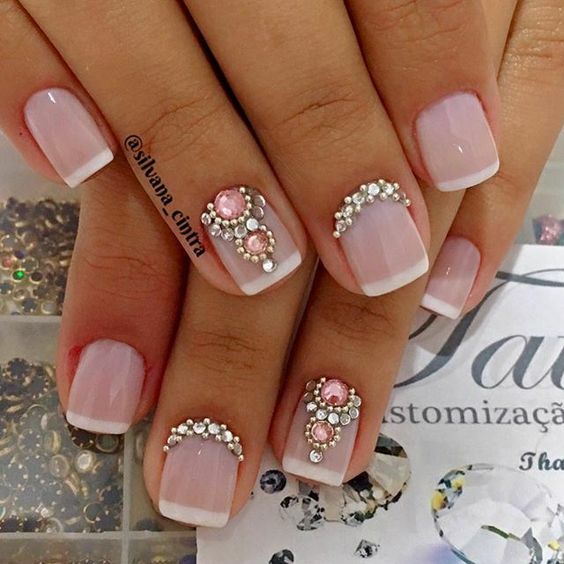 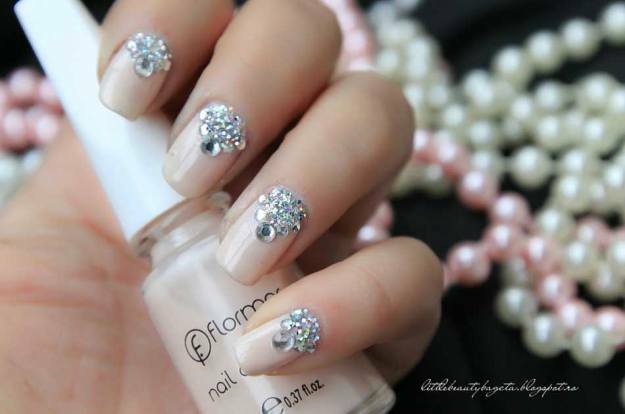 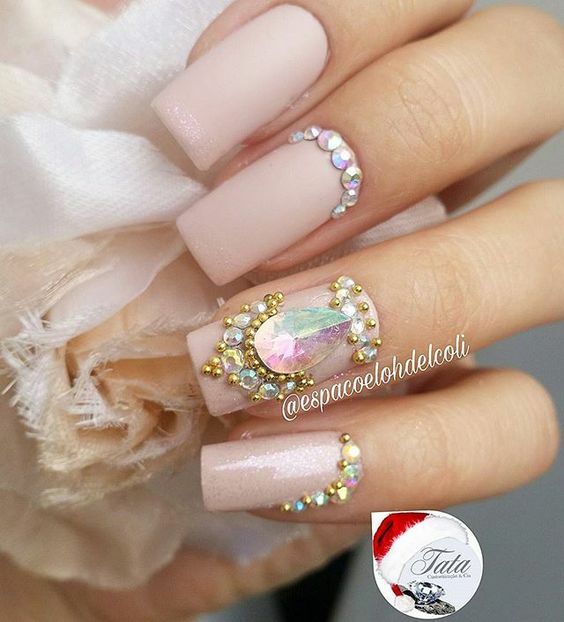 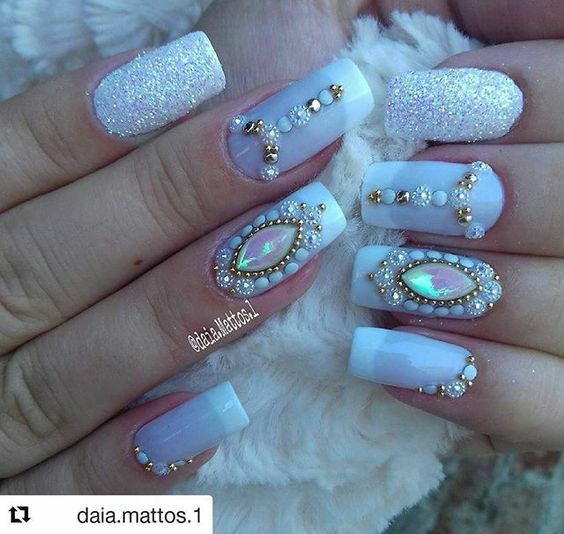 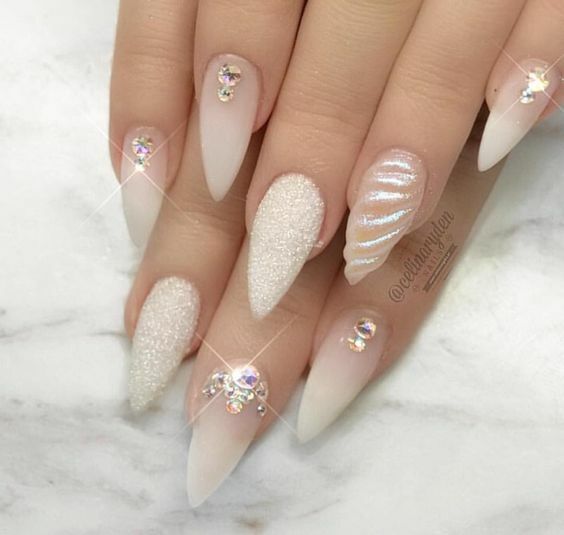 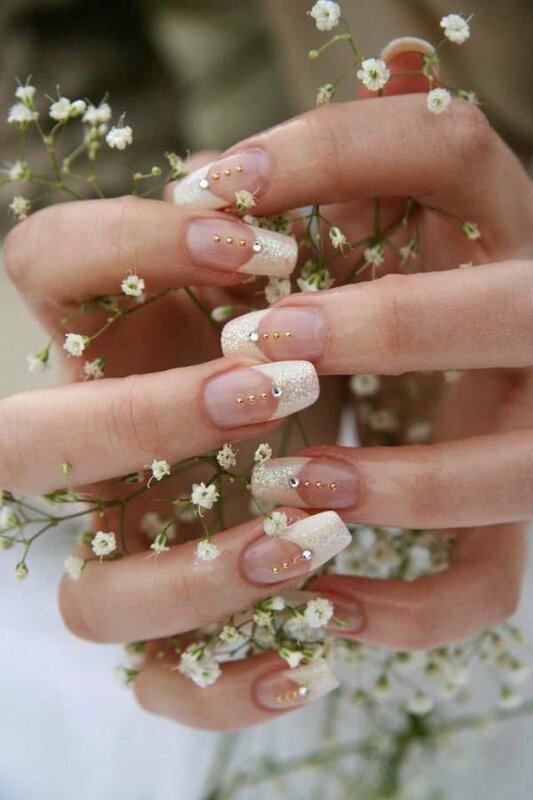 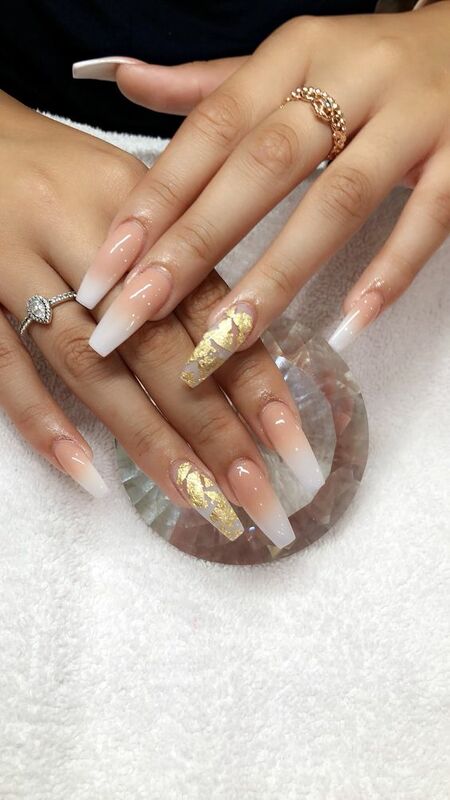 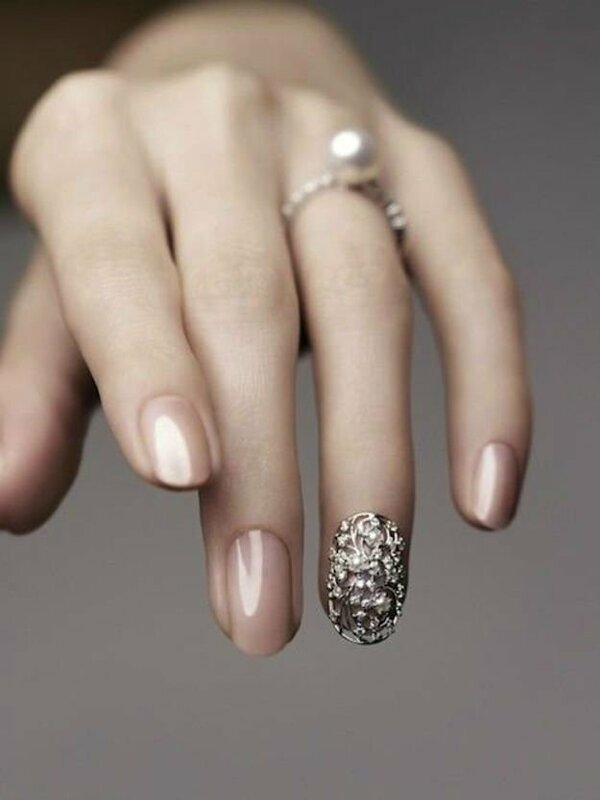 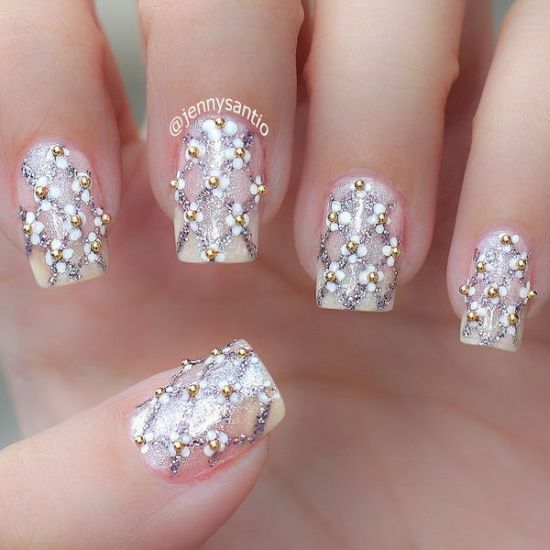 On the extreme side, some of the wedding nail arts incorporate gold trimmings, beads, and jewels which are typical accents to weddings and to other glamorous designs. 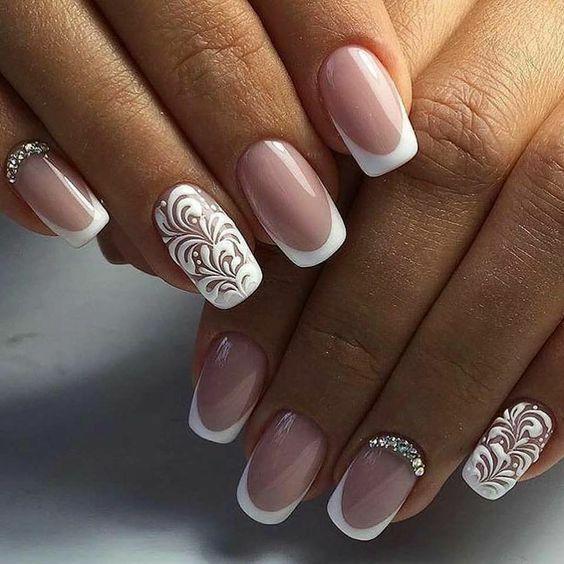 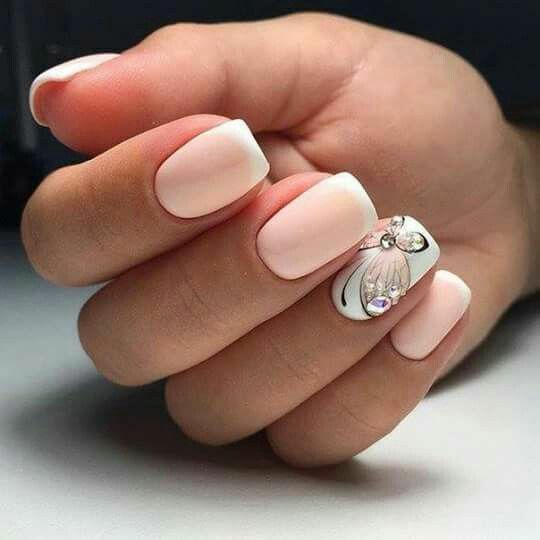 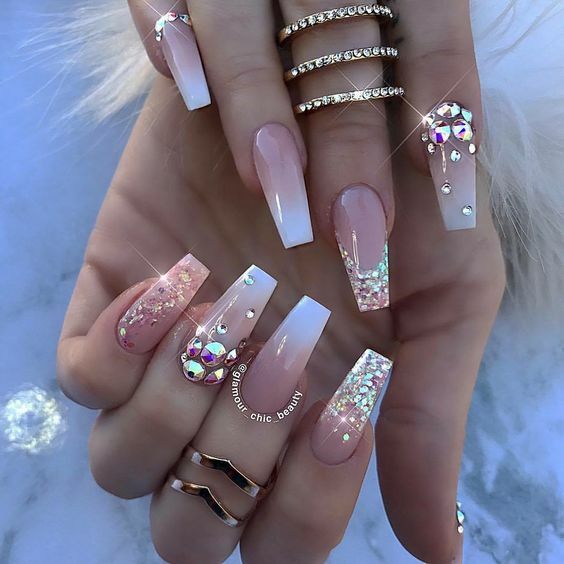 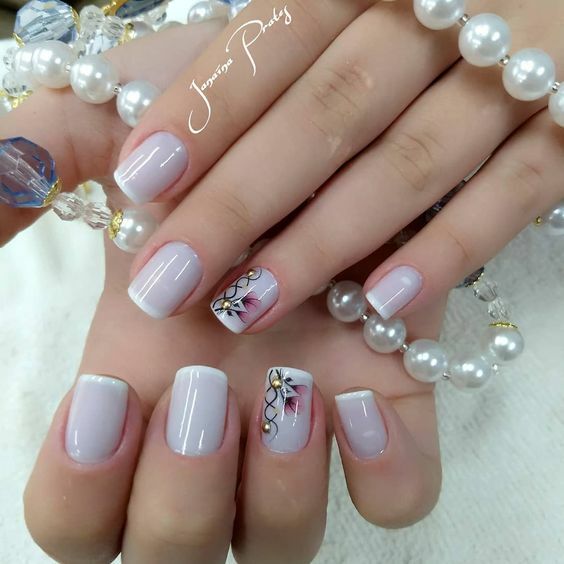 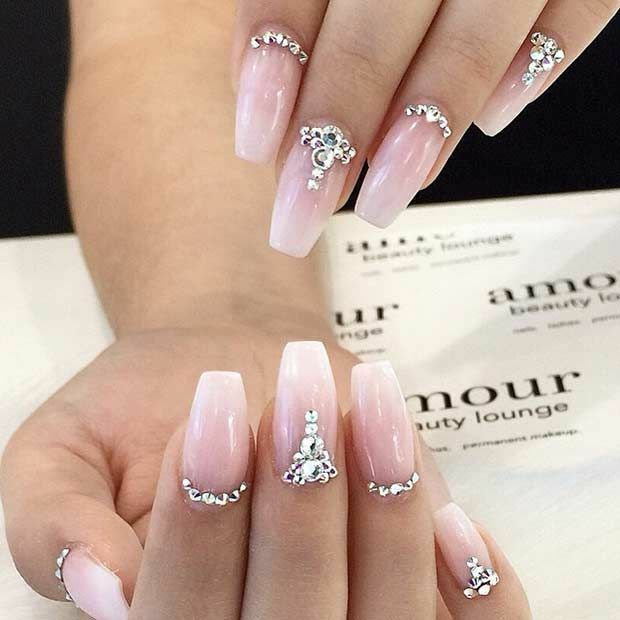 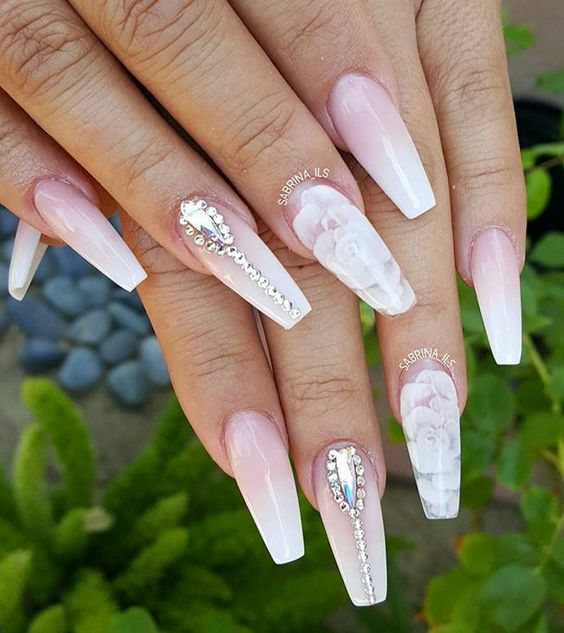 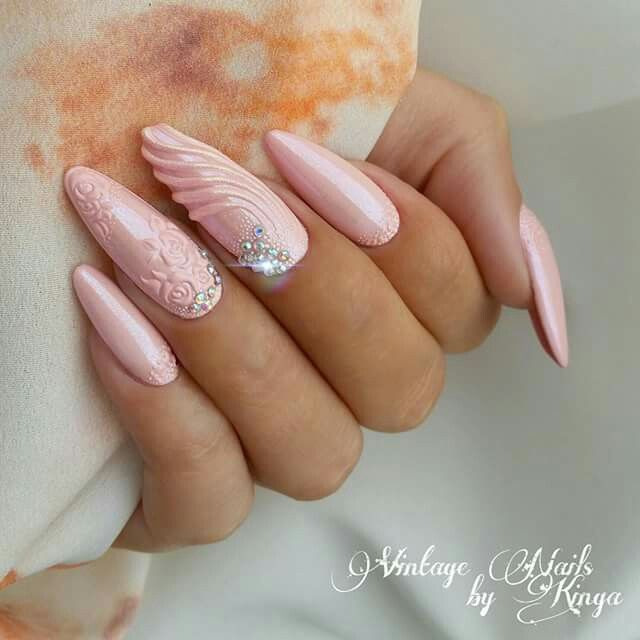 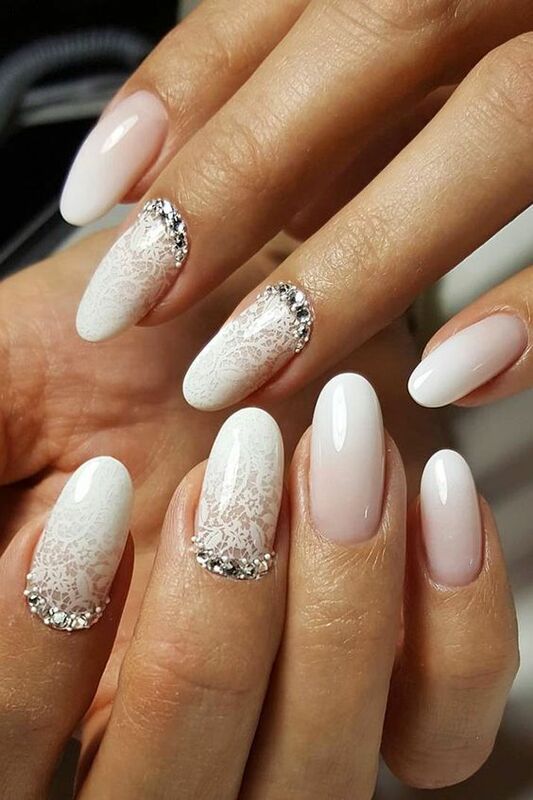 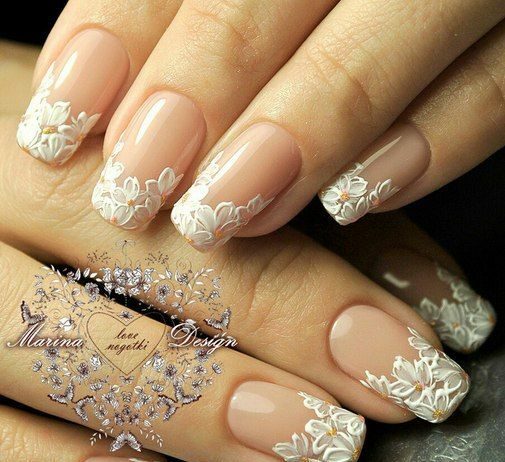 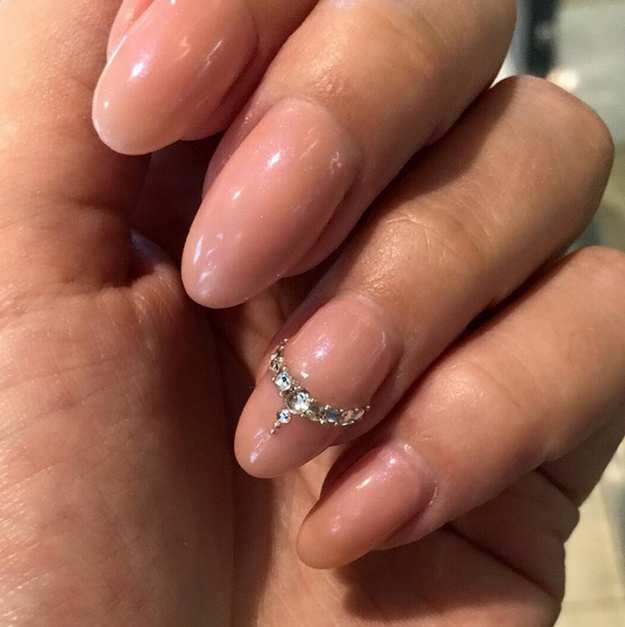 So, may you be a bride-to-be or just wants classy white nails for your day-to-day glam, today’s wedding nail art designs are the best designs for you. 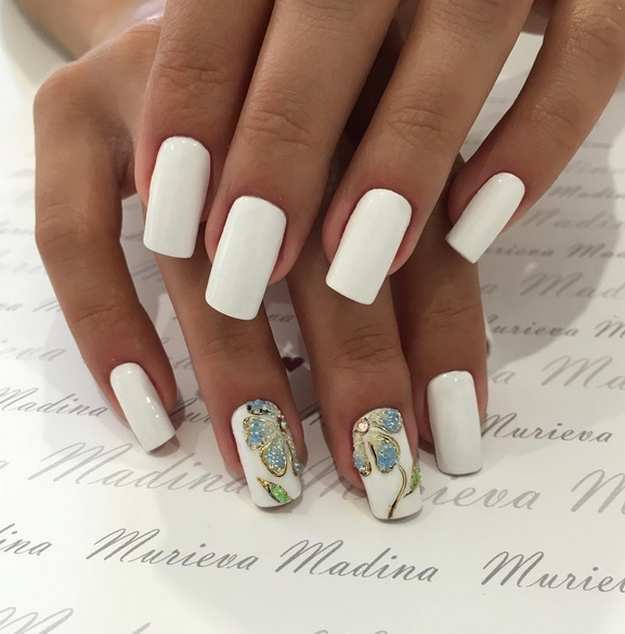 Everything are up for grabs for as long as your nail artist knows how to replicate the designs for you. 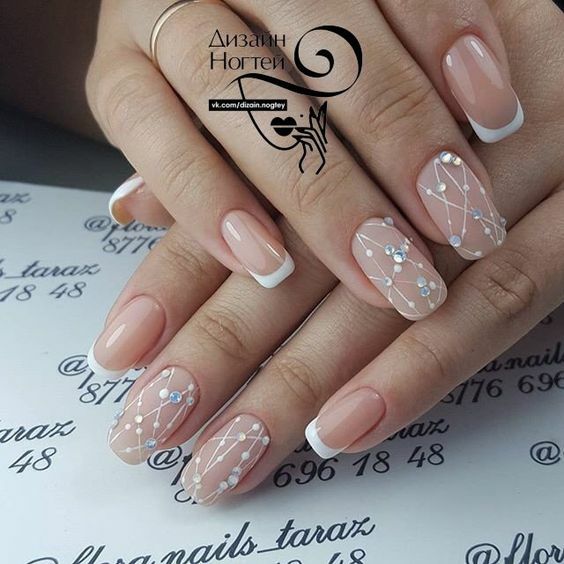 Best wishes to all of you!